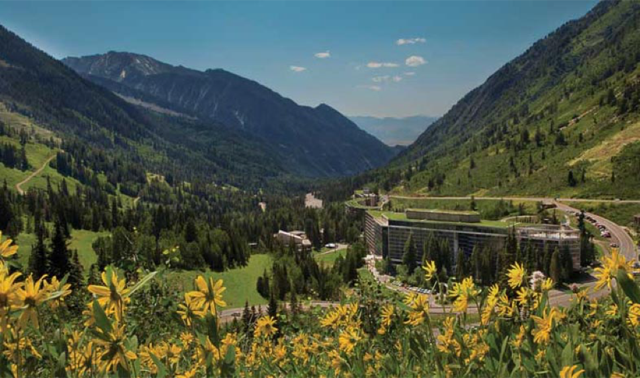 The 2018 AAS/AIAA Astrodynamics Specialist Conference hosted by the American Astronautical Society (AAS) and co-hosted by the American Institute of Aeronautics and Astronautics (AIAA) will be held August 19-23, 2018 at the Cliff Lodge in Snowbird, UT. The conference is organized by the AAS Space Flight Mechanics Committee and the AIAA Astrodynamics Technical Committee. Abstracts are to be submitted through a web based abstract submittal system. Using the web based system, authors will submit their abstract, author information and preprint before the conference. Authors will also use this site to submit their final manuscript after the conference. Attendees to the conference are encouraged to utilize the online registration system. Click on Online Conference Registration. Registering online will provide several benefits. You will avoid the lines at the registration table and you will have free access to preprints. Free access to preprints will only be available to people registering through the online system. The registration fee for AAS or AIAA members is $590 (early), $660 (normal), $760 (walkup). The registration fee for AAS or AIAA member students/retiree is $200 (early), $270 (normal), $370 (walkup). Non-members have an additional fee of $100 (full-registration), which includes a 1-year AAS membership. The online registration system is programmed to accept Visa, Mastercard, Discover and American Express credit cards. "Normal" rates go into effect after midnight on June 30, 2018. "Walkup" rates go into effect after midnight on July 25, 2018. Attendees may still register in person at the registration table (walkup). Hotel Reservations: Conference attendees may book rooms at the group rate either on-line or over the phone. When booking on-line, full payment is required at time of booking. When calling in, 1 night deposit is required at time of booking. Either method has the 72 hour prior cancel policy to avoid a one night cancel fee. Rate: $117/night - conference rate only available until July 18, 2018. Additional $10 per person per night, $10 per room resort fee. Per the contract, the hotel could update the rate to reflect changes in the U.S. Government per diem rates in 2018.